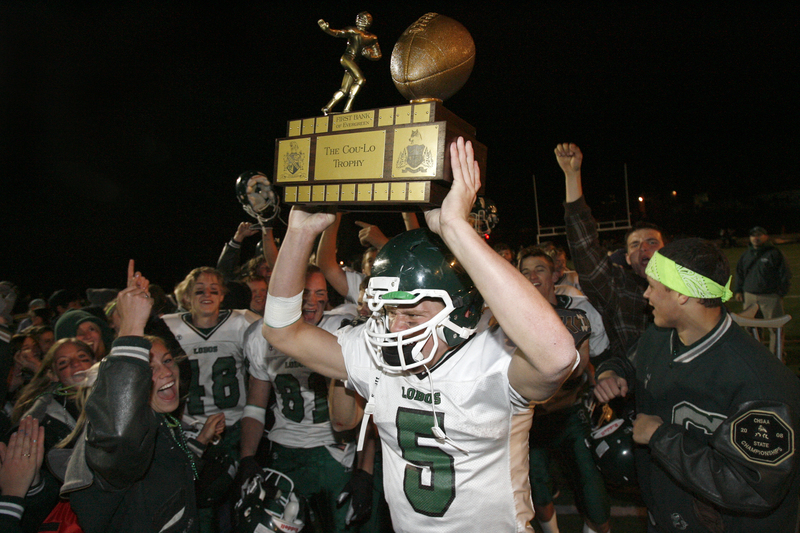 I am going to start off with my best of 2009 with a collection of football photos. In 2009 I worked really hard to develop relationships with the coaches, staff and players of the schools that I cover on a regular basis. I shot essays on players that overcame disabilities to play. I showed coaches the respect they deserve by asking first for permission (you know who you are DP shooters) to enter the locker rooms before games. I worked the sidelines during the games for off the field moments. When teams took the field, I took the field along with them. I showed up early for practice and stayed late after games. And while none of the teams I covered made the playoffs I still put in a lot of effort and am looking forward to next season. 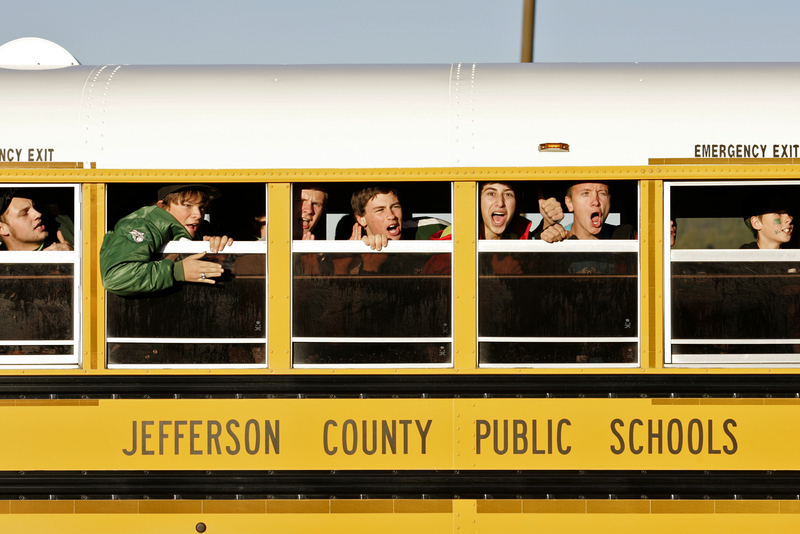 Conifer High School fans ride the bus from Conifer to Evergreen before the start of the mountain bowl. I made this photo as I was out looking for features before the game. Speaking of the Mountain Bowl, this was quite possibly one of the darkest fields I have ever made photos at. The ambient was something along the lines of 3200 ISO at 1/60th at f/2.8. Really, Really dark. This photo is definitely one of my most memorable games from 2009. Chatfield was down in the last seconds of the game. 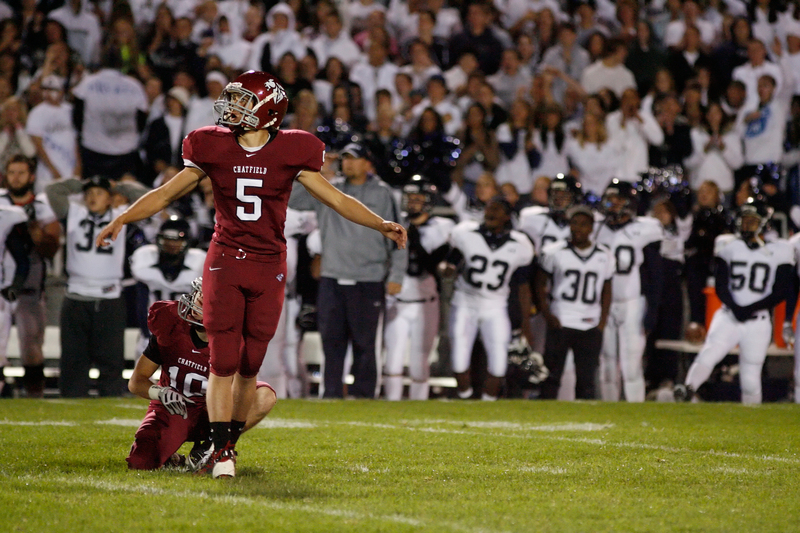 The 46 yard field goal from the kicker above put them up by 2 points to beat Columbine. That sea of white behind him is the Columbine Rebels fans and team on the sidelines. I knew that I was going to need every frame to capture this moment, so I ditched my flash and boosted my ISO as high as it would go. I squeezed the trigger and fired off 6 to 8 frames in less than a second. There is no ball in this frame but I think you can feel the emotion by the stance of the kicker. 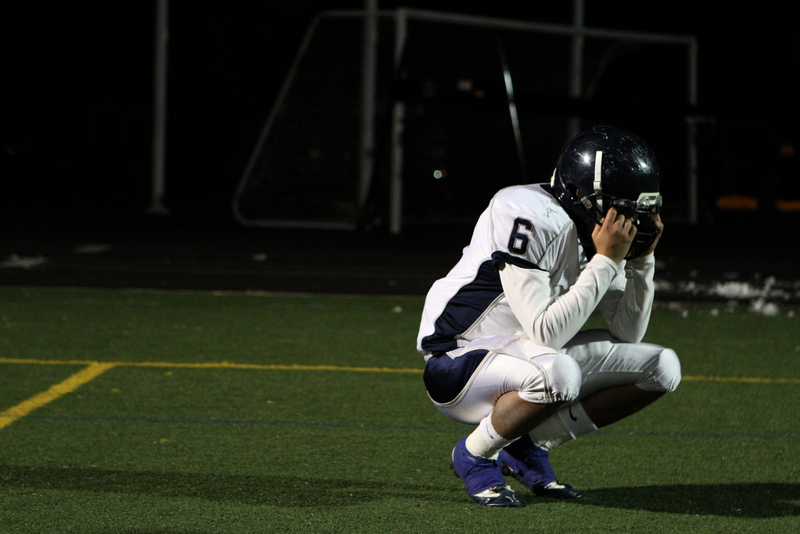 It was a tough year for Columbine football. The star quarterback, Danny Spond, sustained a pretty nasty concussion which ended his season. If you didn’t see it, you can read about it here. The backup quarterback Aaron Torres had some big shoes to fill. He did the best he could but ultimately the team was never the same after losing Danny. Torres took it particularly hard when they lost to Fairview in the play offs. This is a photo that I made in the locker room before the game. This goes along with the first photo up top. I have a real problem with some of the more heavy handed photojournalists that work in my coverage area. They seem to forget that they are there to capture moments not create them. 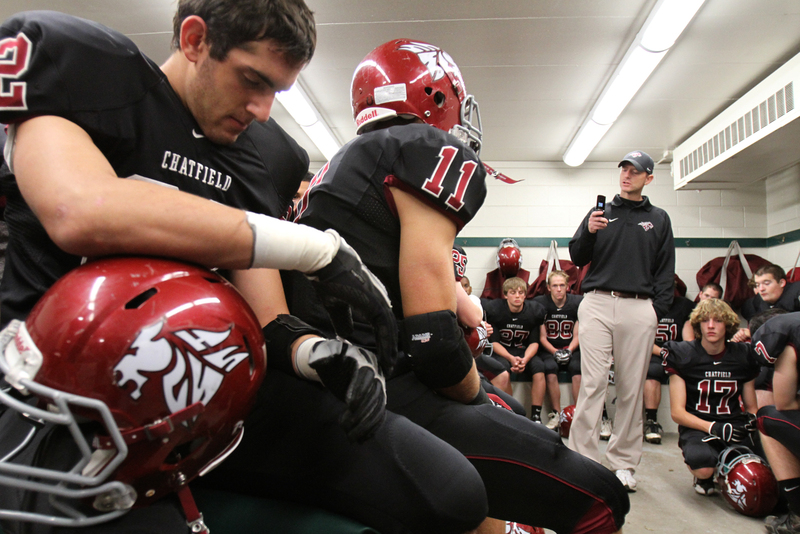 A photographer, who shall remain nameless, was booted from the Chatfield locker room for getting in the face of the coach during the pregame speech. It took 3 games for me to get back into that locker room. When I finally did, I made the image at the top of this post. The head coach is reading a text message from the injured quarterback who was out of the hospital resting at home. Its a small moment, but important to the team story. 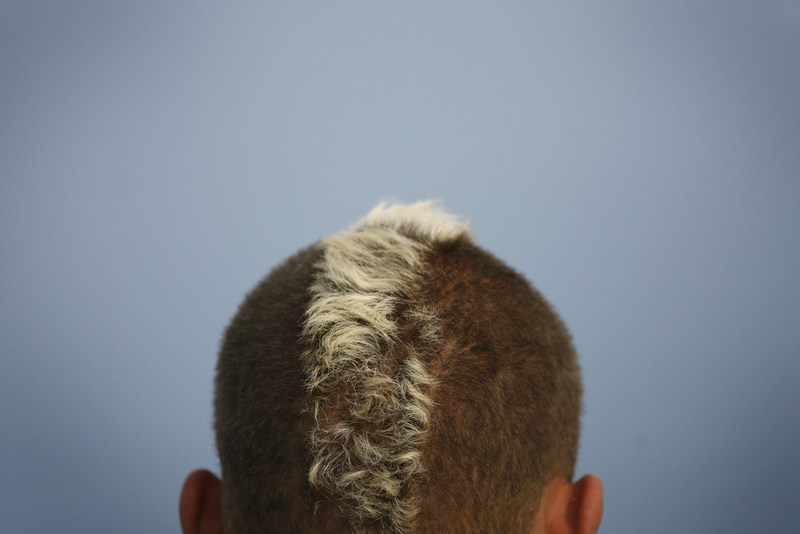 And finally these photos above are from a quick photo essay on a deaf football player. One of the nicest, most down to earth, hardworking players on the team. It was great working with Steve and his translator Susan. 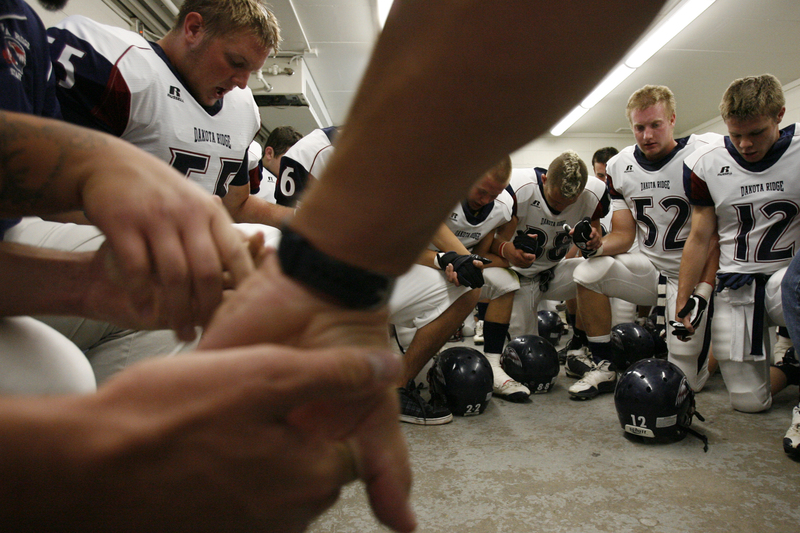 As is the case with high school football, language on the sidelines is often colorful. Susan translated every word.